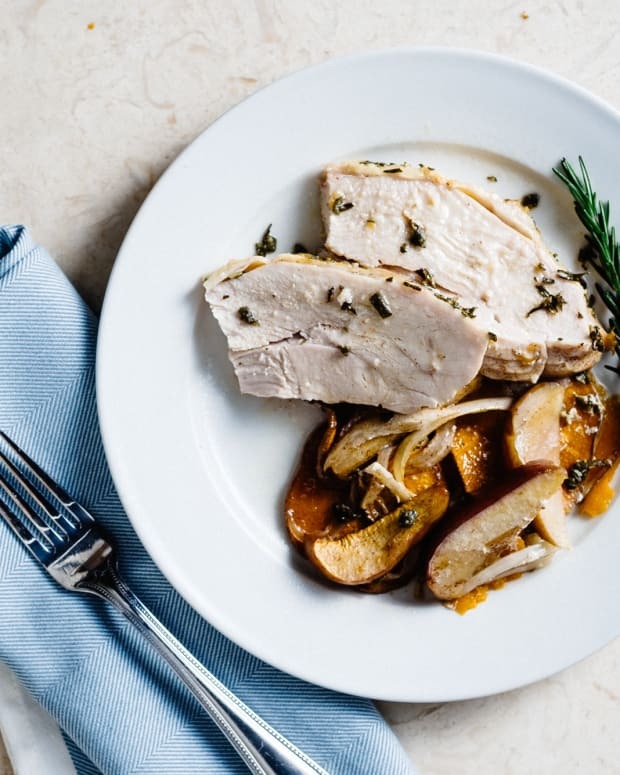 This recipe is easy to prepare and the apples that bake inside the chicken give the chicken an incredibly flavorful, fruity taste. 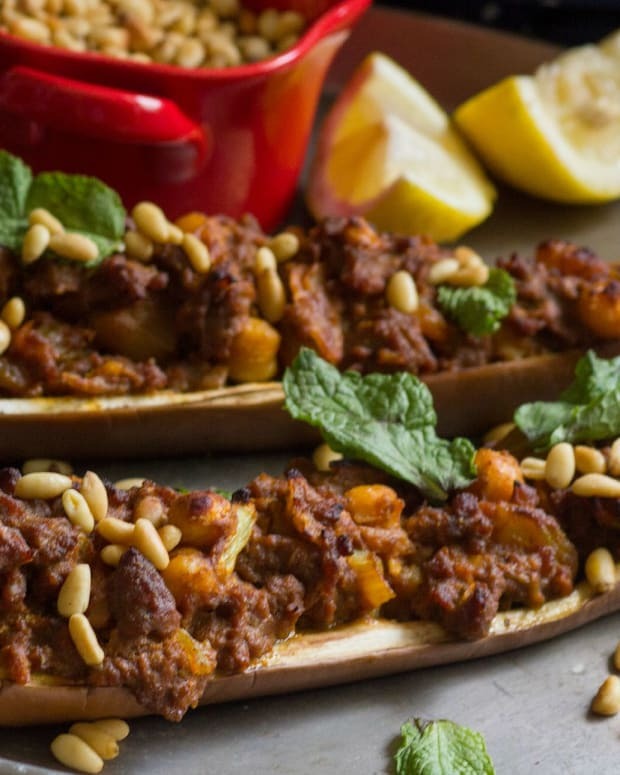 This is surely one of the easiest recipes to prepare among the main courses in the book. But that doesn’t mean it holds back on flavor. 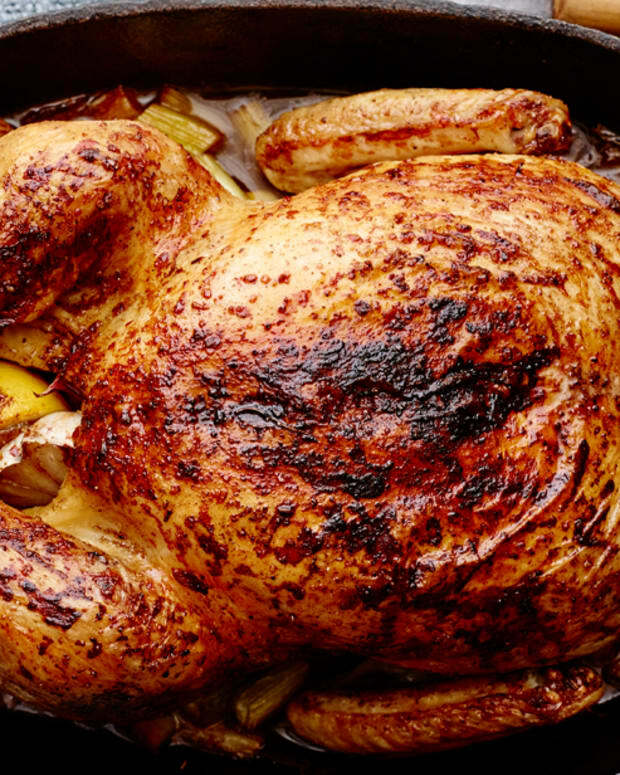 The apple that bakes inside the chicken gives the bird a slightly fruity quality. (Don’t forget to eat the baked apple with the chicken.) 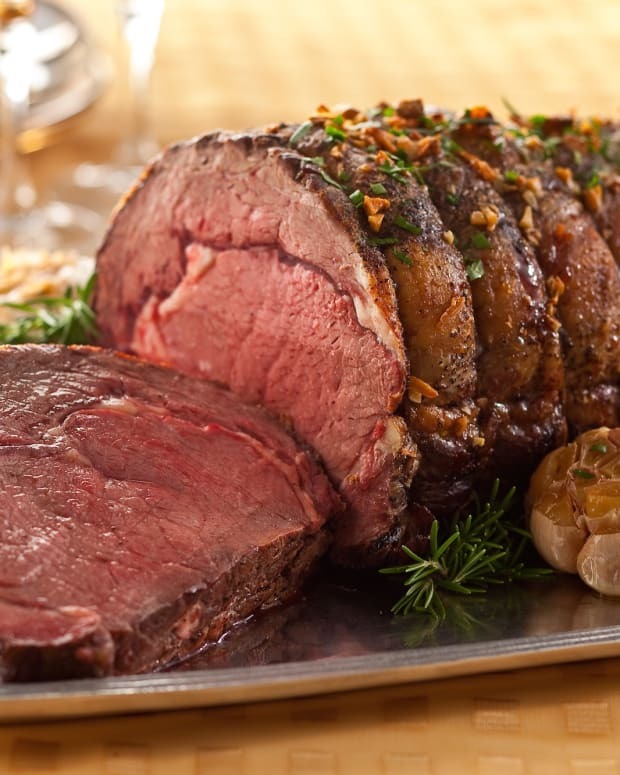 And the heady scent of roasting rosemary, garlic, and olive oil is an aromatic treat that permeates the kitchen. Sometimes we like to make a wine gravy to go with the baked chicken. It requires little more than 2 cups of wine (see “Cooking with Wine,” page 40) and an additional 5 minutes of stove time. At other times, however, we simply spoon drippings from the roasting pan over the carved meat. Either way, this simple, soulful dish is always a hit in our home. 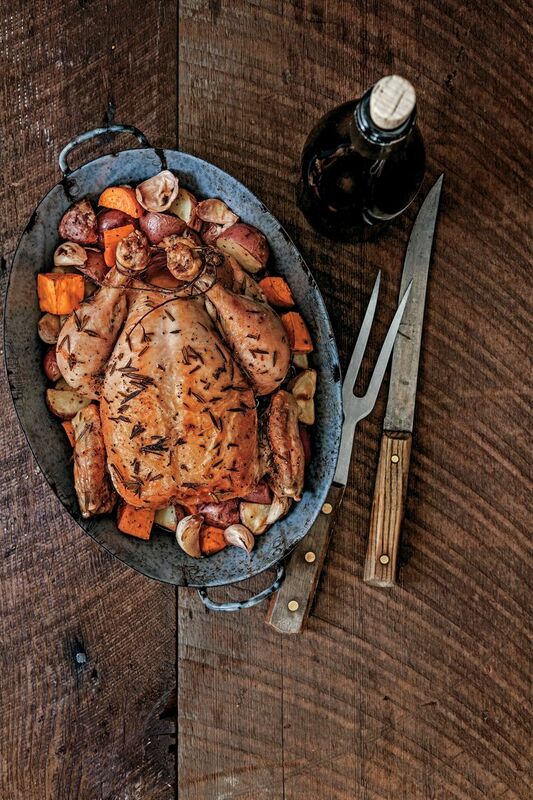 From a wine perspective, chicken is perhaps the most versatile of meats. It tastes great with red, white, or pink wines. Among reds, robust Cabernet or Syrah would make a marvelous match here. But so would lighter-styled Pinot Noir or spicy Zinfandel. If you prefer white wine, try a fruity white Riesling or Gewürztraminer. A rich, barrel-fermented Chardonnay would be nice too. Excerpted from The Covenant Kitchen by Jeff and Jodie Morgan. Copyright (c) 2015 by Jeff Morgan and Jodie Morgan. Excerpted by permission of Schocken, a division of Random House LLC. All rights reserved. No part of this excerpt may be reproduced or reprinted without permission in writing from the publisher. 2. Sprinkle the chicken, inside and out, with salt and pepper to taste. Using your hands, rub the skin with 1 tablespoon of the olive oil. Then gently rub with 2 tablespoons of the rosemary until the skin is evenly covered. Stuff the cavity with the apple. 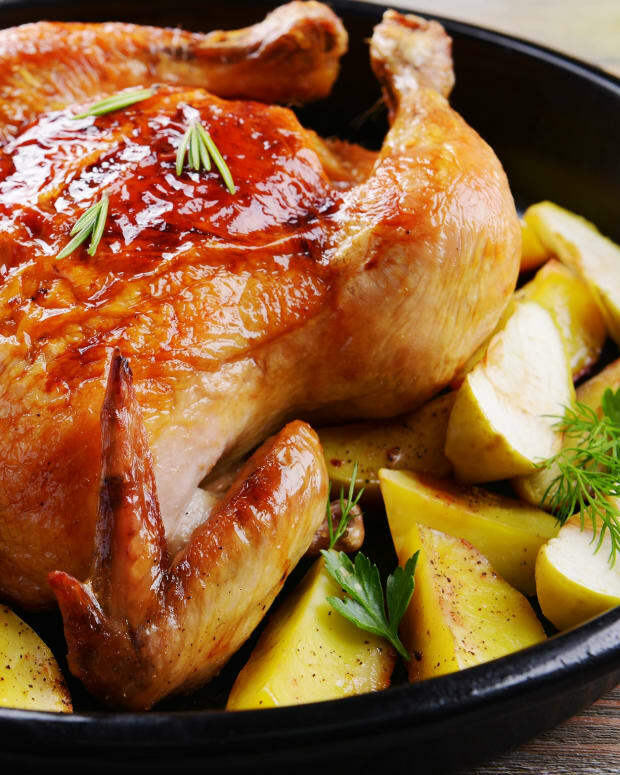 Set the chicken on a roasting rack in a baking pan, but do not place it in the oven yet. 3. In a large bowl, toss the potatoes, sweet potato, and garlic with the remain­ing 2 tablespoons olive oil and 1 tablespoon rosemary. (Use your hands for easiest mixing.) Season with additional salt and pepper and toss again. 5. Transfer the chicken to a carving board and let it rest for 10 minutes before carving. Remove the apple from the bird and carve it into wedges or slices. Transfer the potatoes and garlic cloves to a large bowl and set aside. 6. If you are making a wine gravy, remove the roasting rack from the pan and pour out half the fatty drippings that have collected in the pan. Set the pan over high heat and add the wine. Use a wooden spoon to scrape up any browned bits that may be sticking to the pan. Let the wine reduce by half and pour it into a gravy bowl. 7. 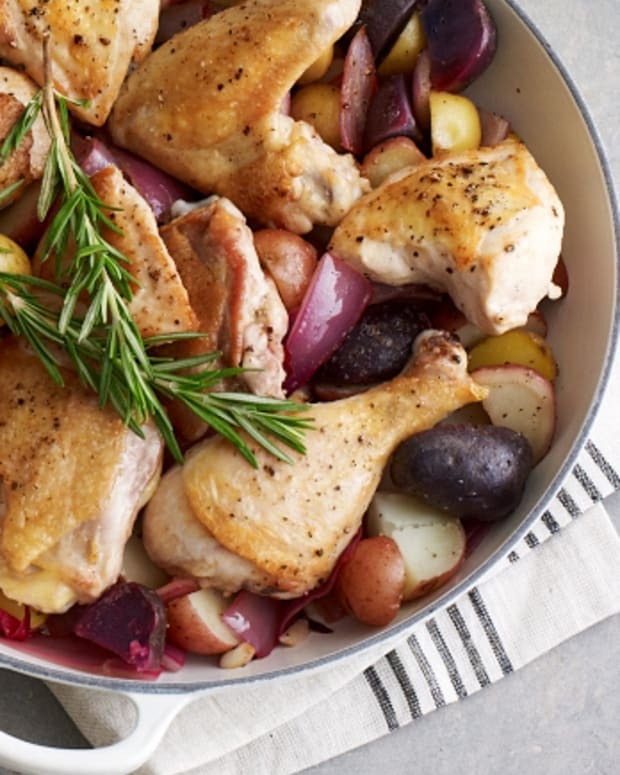 Serve the chicken with the potatoes and garlic on the side and a slice or two of apple. Drizzle with wine gravy or pan drippings.